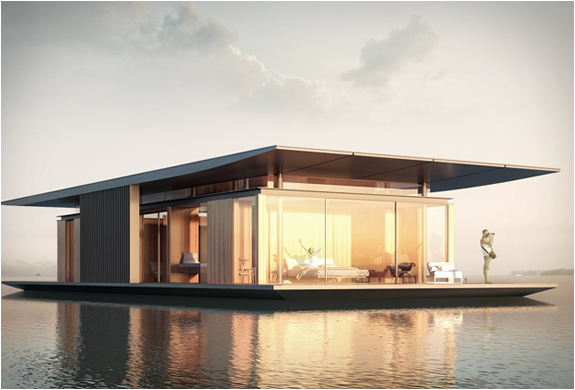 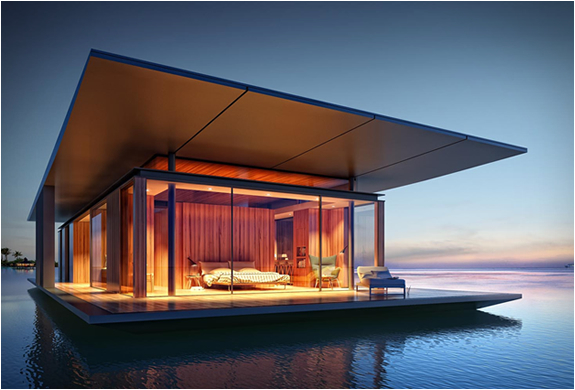 The Floating House is a spectacular project designed by architect Dymitr Malcew for French developer H2ORIZON – a company that specializes in floating structures. 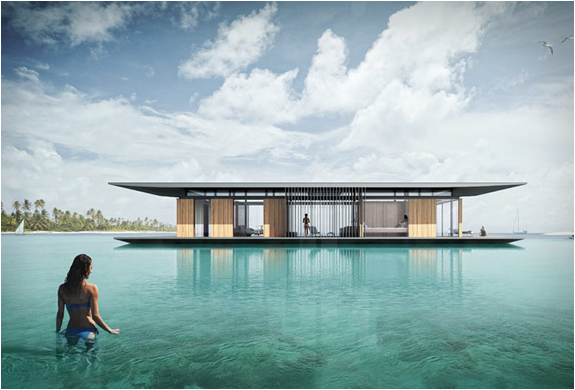 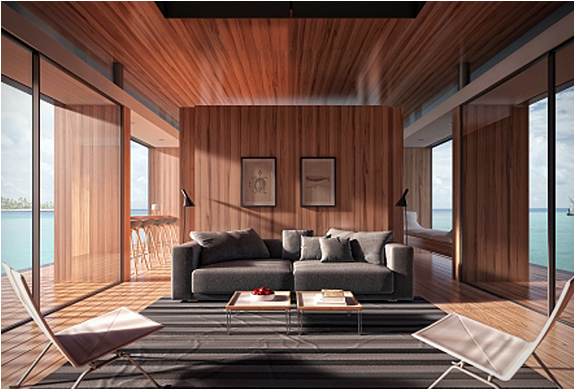 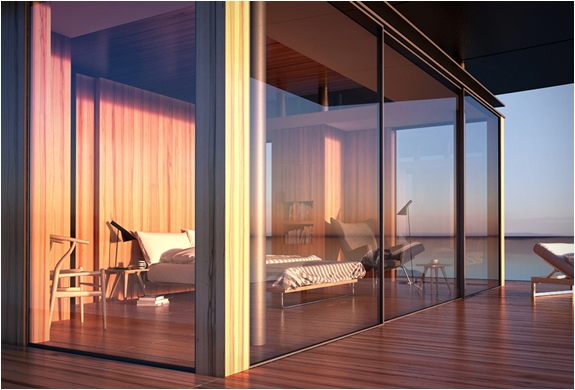 It was created for people who appreciate freedom and nature at their doorstep, the mobile home is constructed on a floating platform that can be easily moved to different locations. 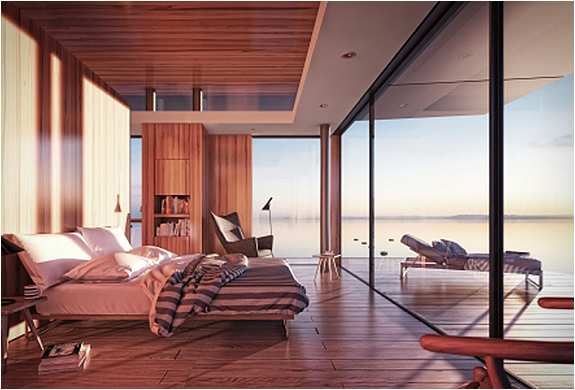 The House offers two luxurious bedrooms, two bathrooms, living room and a kitchen, all with direct access to the surrounding terrace, enabling the outside world to blend in.